Are you tired of wearing the same old super embellished and full of intricate embroidered shirts? Why not try out something originative color blocking dress designs and stand out with quite unique patterns this year? Now this is the perfect time to back out from the old embroidered outfits and step into creativity of color blocking dress designs. 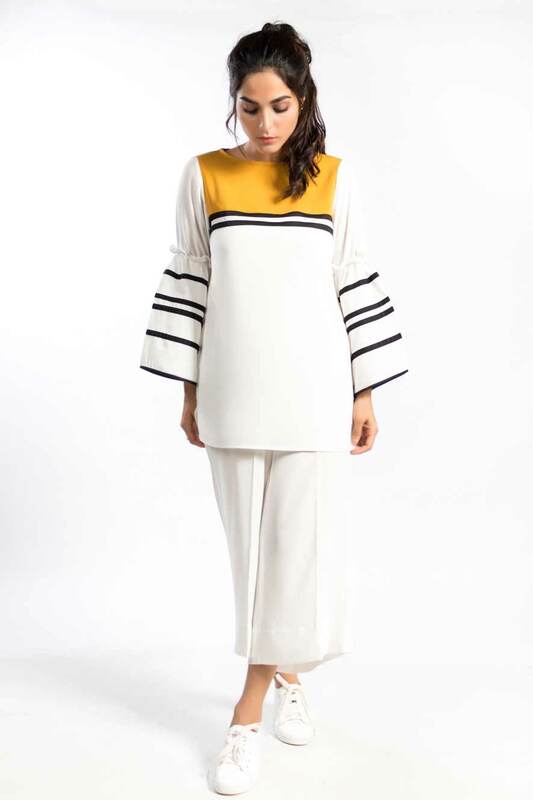 In this article you will see a brand new collection of color block dresses with sleeves (three quarter, bell shape, full and knotted sleeves). All of these shirt styles are super attractive and colorful including black, white, red, blue, green, yellow, mustard, orange and so forth. It’s best suitable for casual wear! But, what about semi formal and formal events? Are you thinking that you can’t wear block panel shirt semi formally or formally? 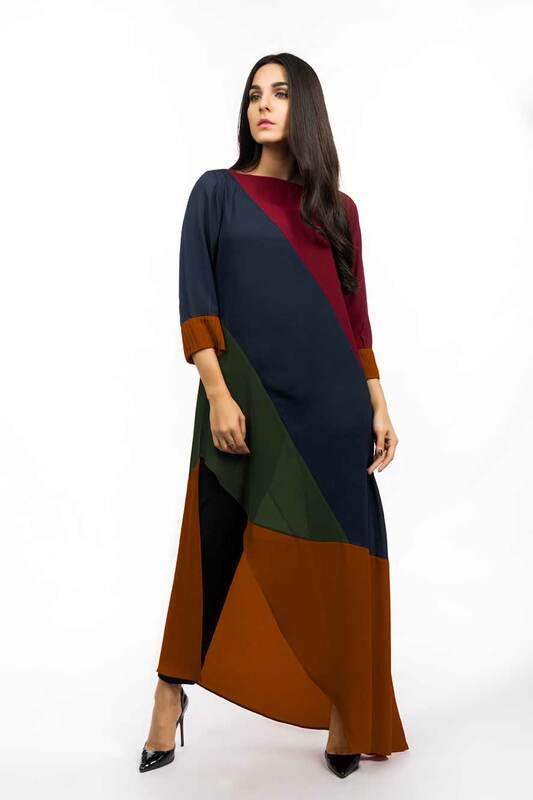 In this article you will find colour block dresses for work, streetwear, casual and semi-formal that you can be dressed well in several occasions and parties. What does color block dress means? Color blocking dress design, is a method of wearing multiple solid colors in an outfit. 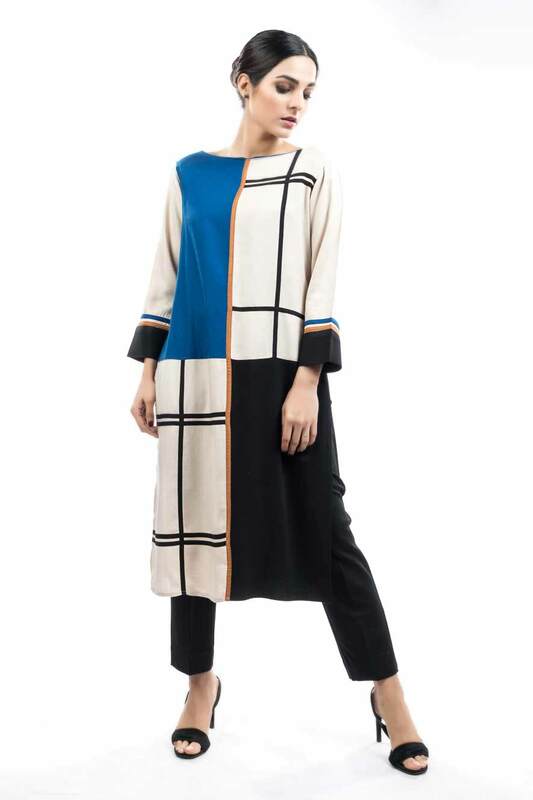 The color block dress revolves around a palette of two or more colors, usually in bold and bright hues from the palette. The result is a simple yet very chic look. Plus size people prefer to wear color block dresses to look slimmer and stylish at the same time. What makes color blocking dress designs unique? 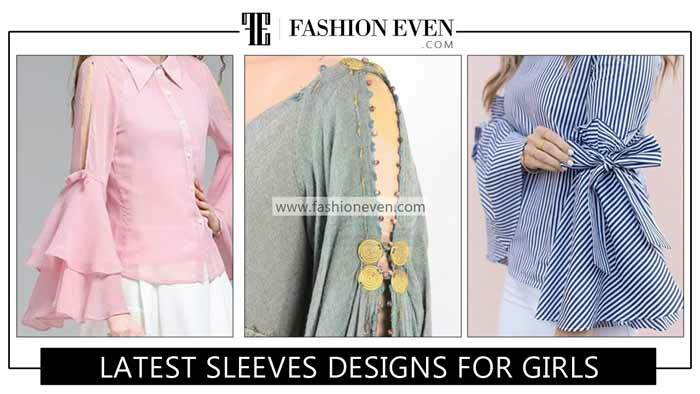 When it comes to the old fashioned embroidered shirts for girls, choosing the right color scheme, and a suitably pretty motif, sprinkle of embellishments all over, and voila, a certain version of “fashion outfit” can be spun out in mass quantities. On the opposite side, color blocking clothes are suitably attractive and wearable at any casual, formal or informal events. It needs to be remembered that the structure and finesse of a well-cut silhouette of printed outfits, is being treated as a priority. Do you wear tops/kurtis and jeans? 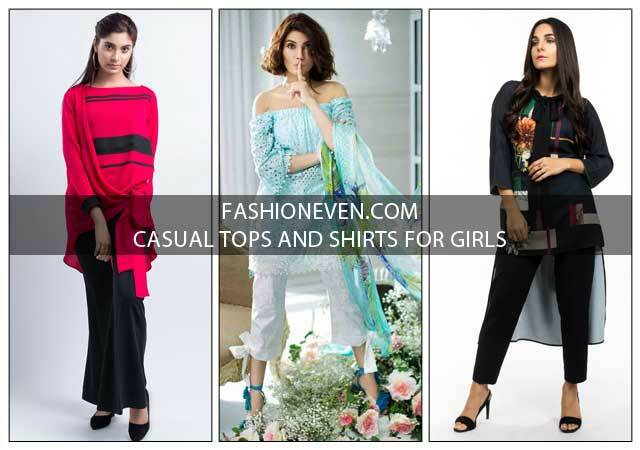 If yes, then do not miss to check out the super stylish tops and jeans for girls. 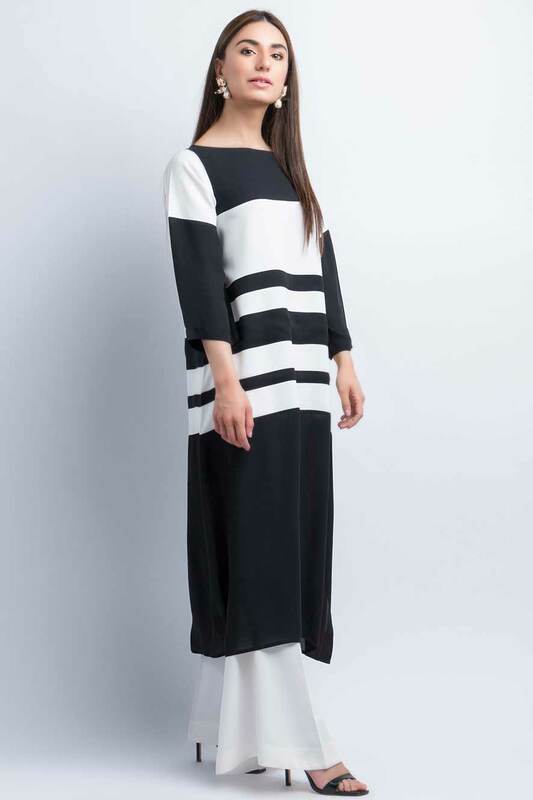 Let’s have look on the following color block panel dress with striped bell sleeves. Colour block fashion is sought after by almost every teenage and young ladies! With super captivating hues from the palette, masterful draping, well-fitted cuts and artistically stitched printed shirts will definitely draw the eyes of everyone around you. Perfect combinations of different luxurious fine fabrics will seem unconventional yet stand out as very individualistic and super stylish. You will sense this when you will see the images of color blocking dress designs just in a minute. Do you love to wear long skirts? 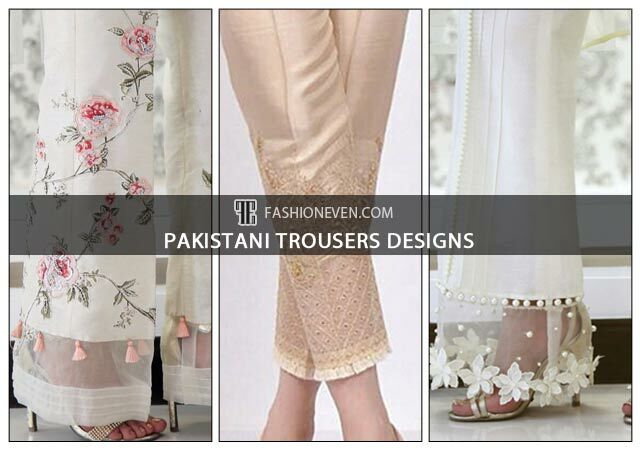 If yes, then make sure to check out the latest designs of Pakistani long skirts for girls. Now let’s dive into the beautiful shirt designs with images. 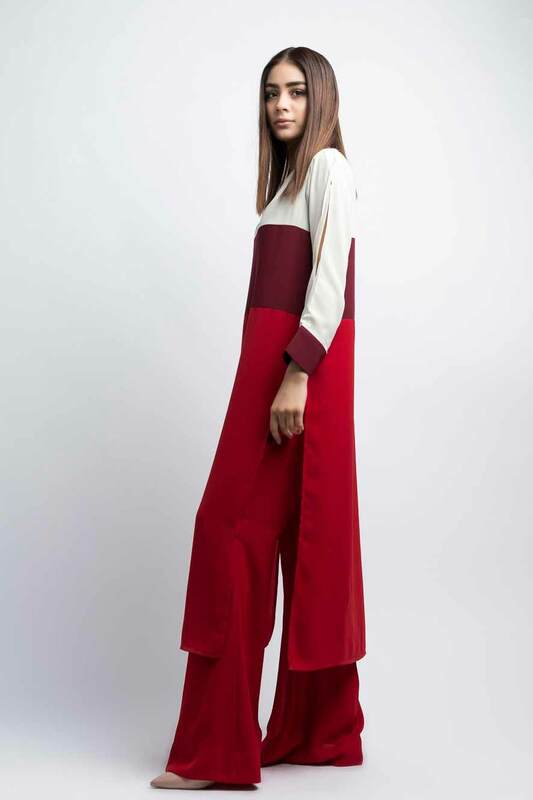 Do you want to know that what are the new color-blocking combinations you just have to try? All of the above shown images tried to spurn embroideries altogether, playing instead with color blocks, digital prints and silhouette patterns to win the hearts of young and teenage girls. The aim of this article is to show that you can set yourself apart from others by focussing on just panels and fabric rather than heavy embellishments. Colorful blocks, patterns, stitching styles, and trendy silhouettes will make you look more stylish and dapper even with less or no embroidery at all. Remember, “Less is more” and you will be able to become a trendsetter rather than following the same old voguish styles that are no more attractive in 2019. Here are some important tips according to your body type that you must consider before you buy a color block panel shirt for you. 1. If you have short and heavy neck: No high or closed necklines of shirt. 2. If you have narrow and slopping shoulders: No off shoulder styles. 3. Broad shoulders: No volumnious sleeves. 4. Wide at waist: No belted or fitting at waist. 5. Heavy arms: No sleeveless styles. 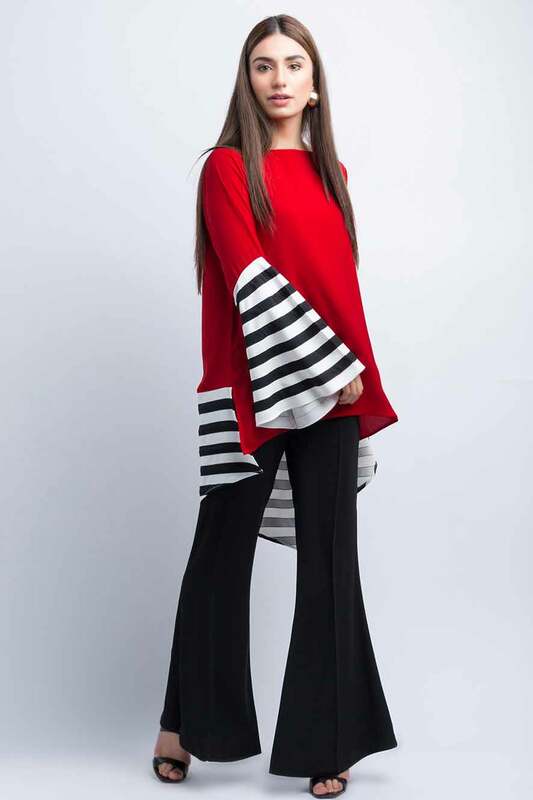 6: Thin arms: Flared sleeves. 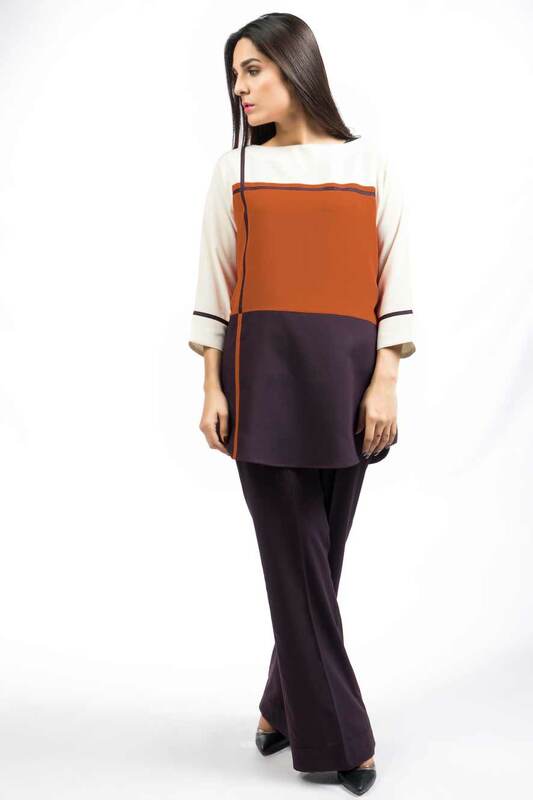 There are few fashion designer in Pakistan who had introduced upcoming vogue of color block panel outfits. While, the rest of the designers still beg to differ for embroidery that provides an easy route. 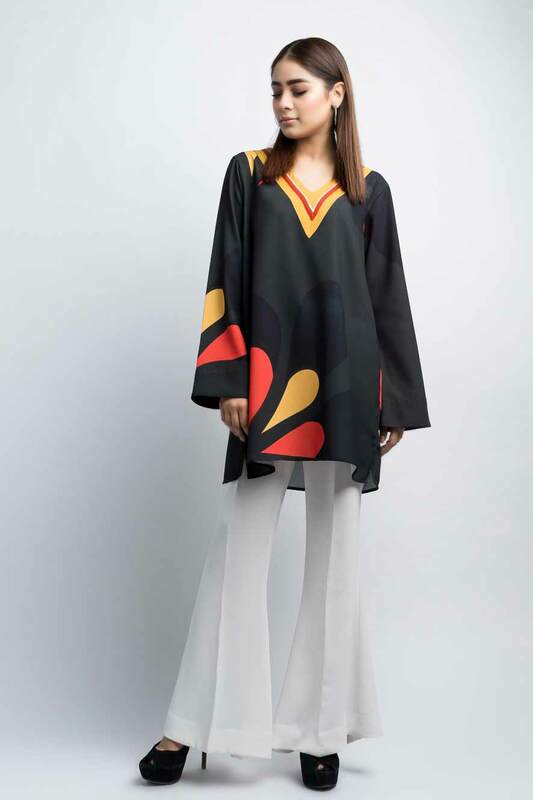 Certain younger designers are similarly trying to tread distinctive territories of their own and busy as bee to lead the rest of the fashion industries in Pakistan. 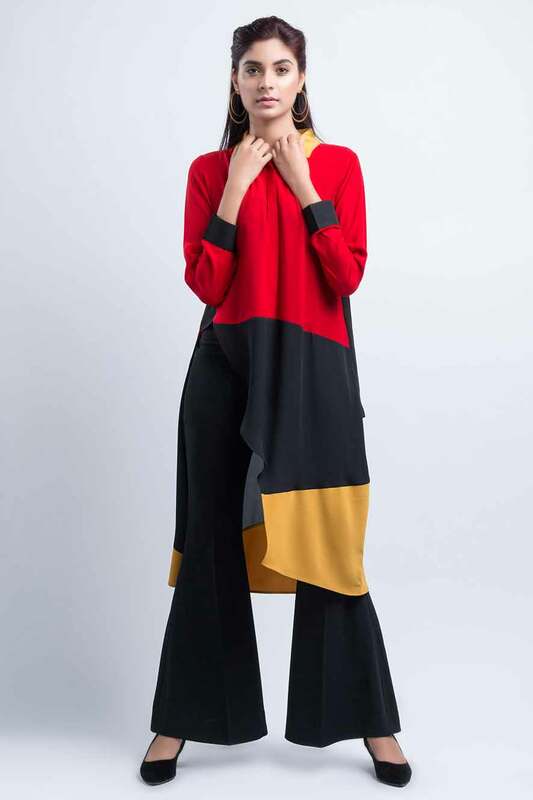 Major point is that, color blocking dress designs and pants certainly sell well because of its uniqueness in the market, it may haul in long queues that will be proudly declared as `being sold`, and assuredly it is great comfort wear for girls. Rest assured! Nowadays there are numerous fashion designers (most importantly, wedding or bridal fashion designers) who are engaged in the exclusive production of color block panel bridal wear with no embroidery at all! In Pakistan, fashion trends are changing so rapidly that no one can resist to adapt it entirely. Wasim Khan (wedding fashion designer) recently exemplified this at the PFDC L’Oreal Paris Bridal Week where he brought forward wedding wear that was entirely devoid of embroidery. 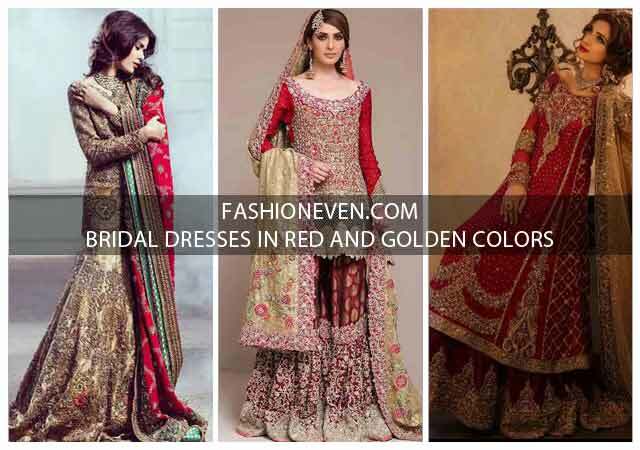 So this was the case of bridal wear, now you can easily understand that how beautiful fashion trends are emerging. The colorful blocking dress designs collection presented in this article, is full of attractive color combinations and stitching styles that will certainly leave all of us awe inspiring, I promise. I hope that you liked the content. If you have any questions regarding price and so on, then feel free to ask me anytime via contact form or leave me a direct comment below. Check out the following colorblock fit and flare dress that has been shown below. 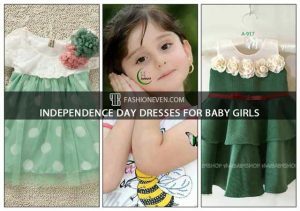 Do you want to make a comparison between color block panel outfits and super embroidered frocks for girls? Indeed? Then make a point to suss out the embroidered party wear frocks for girls. Simplicity is delighting enough to stand apart from the rest of the crowd. Reasonable price range of these colorful shirt designs will definitely draw attention but these unconventional patterns may not appease typical customers who loves to wear shiny, glittery and sparkling dresses that are pleasing to the eyes or even mind. What do you think about color blocking dress designs? Do you love the simplicity or will prefer the embroidered outfits no matter what! Let me know your valuable feedback regarding color block shirt and top designs via comments below and I will add more thoughts that will arise in my mind. 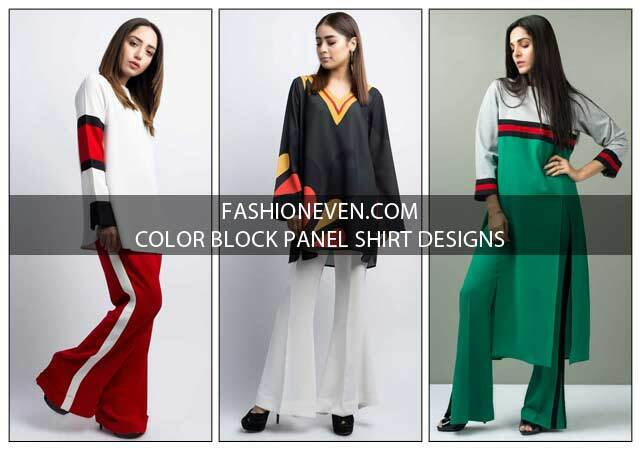 Above you have seen the upcoming fashion trends of colorful block shirt designs for girls not only in Pakistan but also in India and other Asian countries. I want, above all, to instill a sense of new ideas that can work for you. Such as, you may opt for color blocking dress with the little bit touch of elegant embroidery on neckline or front panel of the shirt (as shown below) but they must not essential to your shirt design. I am convinced that you will like all of the articles (shown above), choose your most favorite one and grab it from your nearest outlet or shop online. If you enjoyed the new styles of color block shirts collection, then make sure to subscribe to my blog and share it to your friends on social media as well.